Is My Water Softener Raising My Blood Pressure? If you live in a small community or rural area, you are probably familiar with water softeners. 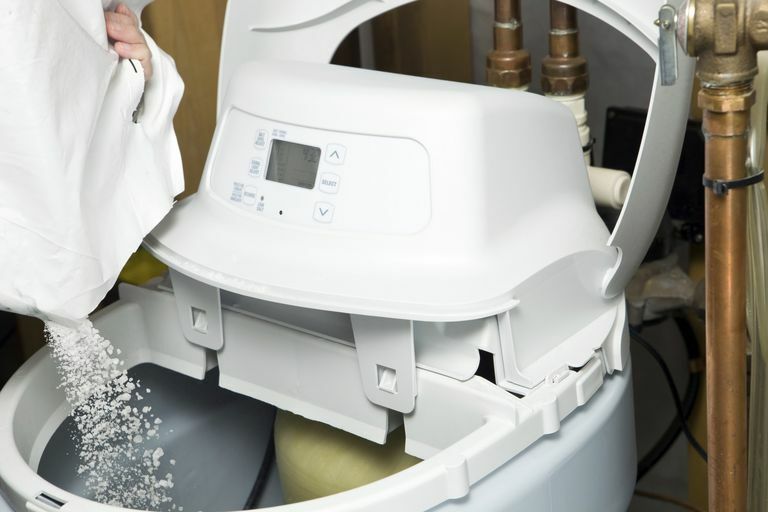 Water softeners are devices attached to home plumbing systems that are designed to eliminate certain problems that come from having “hard” water - problems like discoloration of tubs and sinks, unpleasant odors/tastes, or stiff, scratchy clothes (after laundering). Hard water comes from certain types of wells, and the term “hard” refers to the fact that well water tends to have a rather large amount of dissolved calcium and magnesium. Water softeners work by removing these substances, but to do so they have to add a replacement. Commonly, that replacement is sodium. In areas with very hard water, the softened water coming from your tap can actually add a significant amount of sodium to your diet. The harder the water, the more sodium the softening system must add to replace the dissolved calcium and magnesium. If you live in an area with very hard water or tend to drink a lot of tap water, this extra sodium can start to add up. Studies have shown that significantly decreasing sodium intake can lower your blood pressure by up to 8mmHg. Though there are economical ways to eliminate this extra sodium from your diet, remember that the biggest sources of salt in the diet come from processed foods and the salt shaker. Two different types of hypertension or high blood pressure exist primary (essential) hypertension and secondary hypertension. In most adults with hypertension, there's no exact etiology or well-defined cause. These adults have primary hypertension that develops during the course of a lifetime. Nevertheless, factors like salt in taking in salt-sensitive people, obesity, aging, stress, and insulin resistance (type 2 diabetes) can increase blood pressure in people with essential hypertension.